Finally downloaded MP and've watched I & II; III is coming through the ol' bittorrent now. Thought the first installment a bit slow and was glad it picked up when Monte showed. Manhattan, looking up...Broadway. So, I'm not trying to be bitchy, but come on. 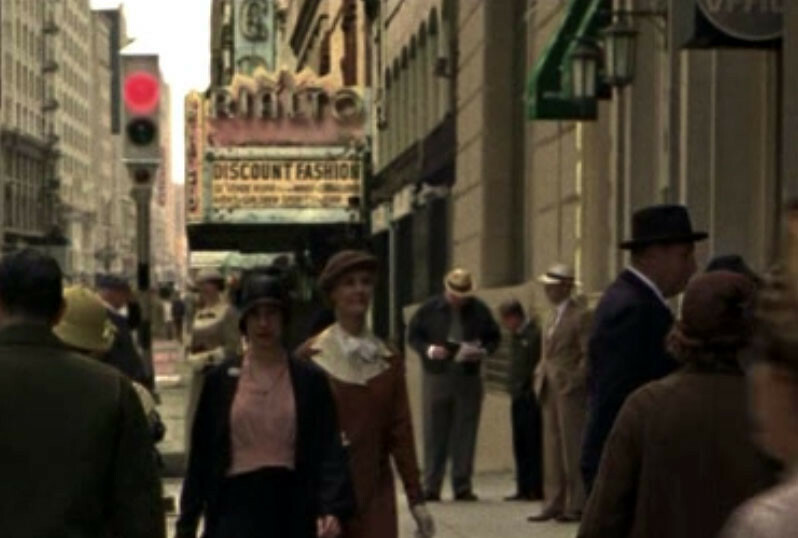 The Rialto marquee is at least five, probably ten years past 1931 and while I can't normally expect the production crew to know that, the Tower blade is outrageously sixties. Moreover, the Rialto marquee would have been advertising movies, not discount fashion as it has in its recent incarnation as a crap-o-mart. 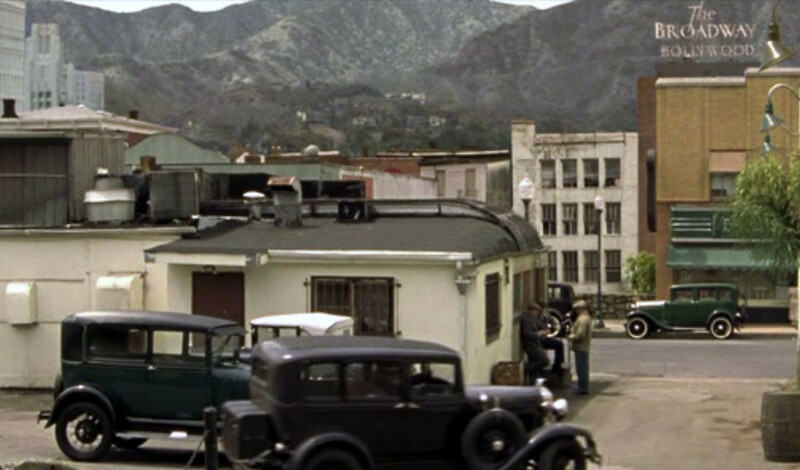 which is a redressed street in Peerskill, NY (HBO has a bit about it here) with the mountains CGI'd in, the Broadway Hollywood neon in the bg, so, let's say we're on Selma west of Vine. 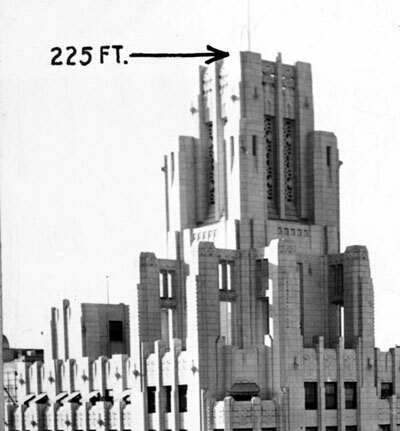 We'd be looking right up at the reservoir (which, if I'm not mistaken, in 1931 would've had half a pile of dirt backfilled upon't). 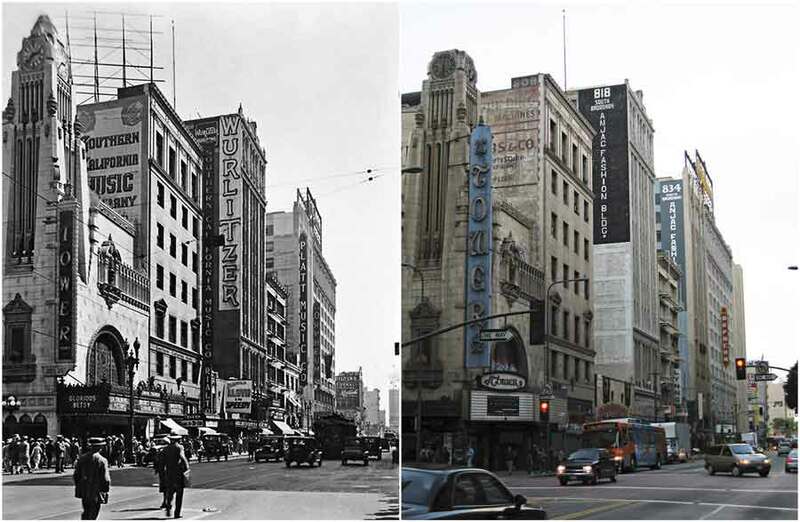 There are apparently no other buildings on Hollywood Blvd, except at far left, where the Title Guarantee has migrated from Fifth and Hill! Must be one of those earthquake things.